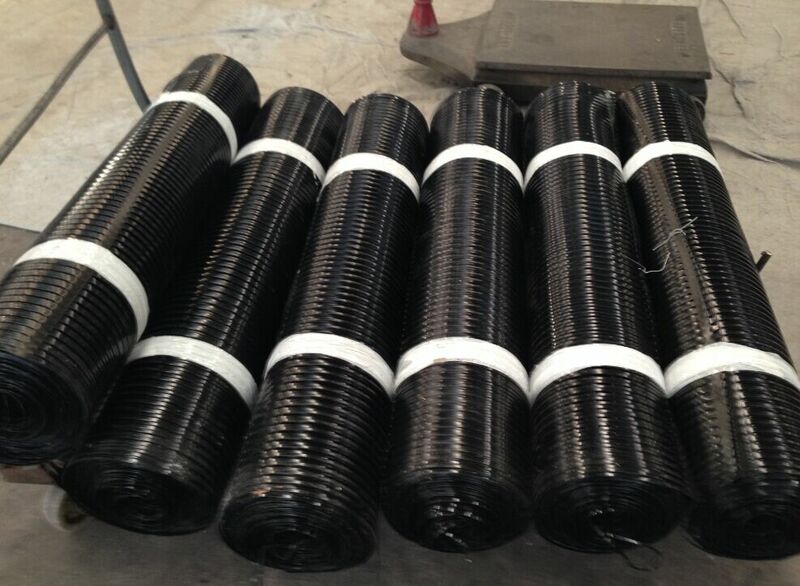 Engineering HDPE Uniaxial Geogrid is made of high molecular polyethelene after extruded and laminated and punched into regular mesh before longitudinal stretching. This process makes high molecule in direct line state in oblong oval net structure with uniform distribution and high node intensity. 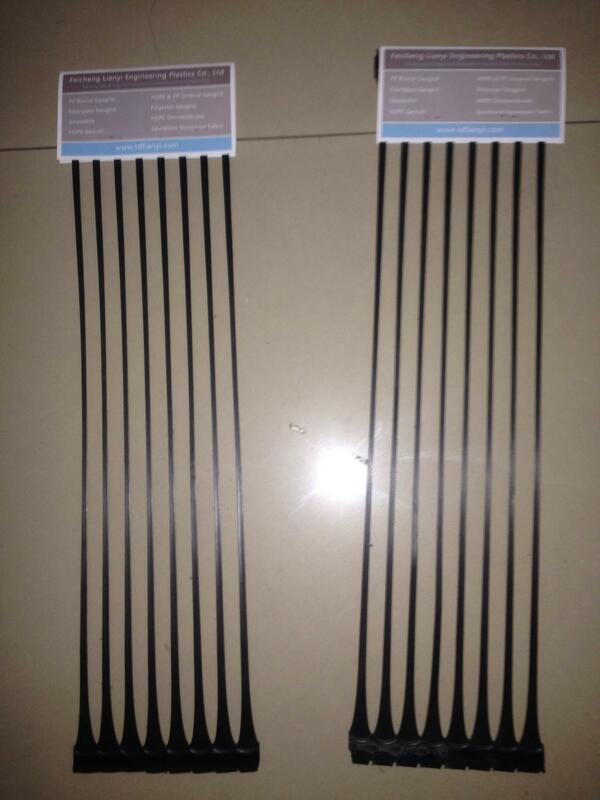 This structure has rather high tensile strength and stretch modulus, especially our products of this kind have superior world class tensile strength and stretch modulus with extensibility between 2% and 5%. The soil offers ideal force carrying and diffusing chain system. 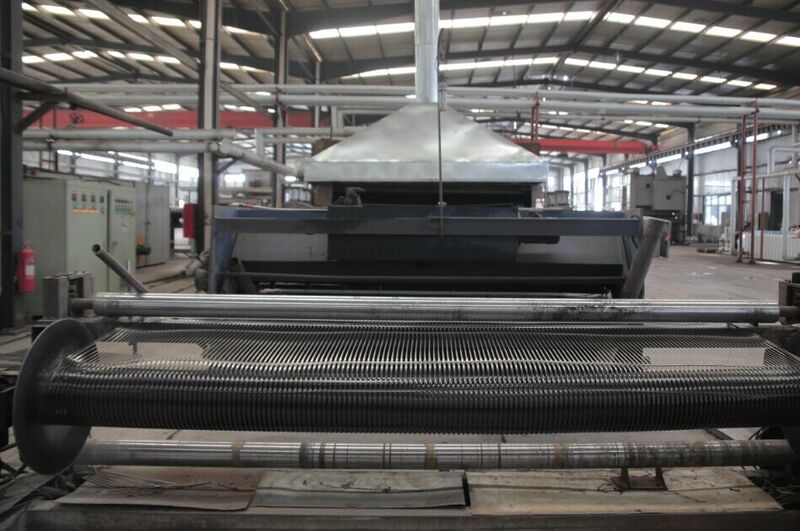 It has large tensile strength (>150Mpa), and is suitable for different kinds of soil. It is a prevailing reinforcement material. 5. Combine anchor sprouting concrete construction method to give side slope maintenance, which not only saves investment by 30%-50% but also reduces erection time by one time or above. 8. Simple and rapid construction will greatly reduce construction cost. 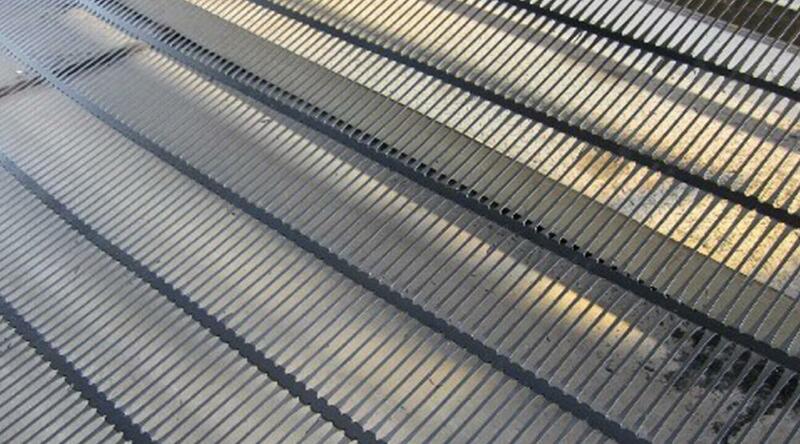 Looking for ideal Polyethelene Extruded Laminated Geogrid Manufacturer & supplier ? We have a wide selection at great prices to help you get creative. 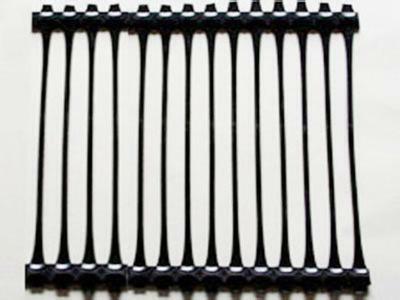 All the Engineering HDPE UX Geogrid are quality guaranteed. 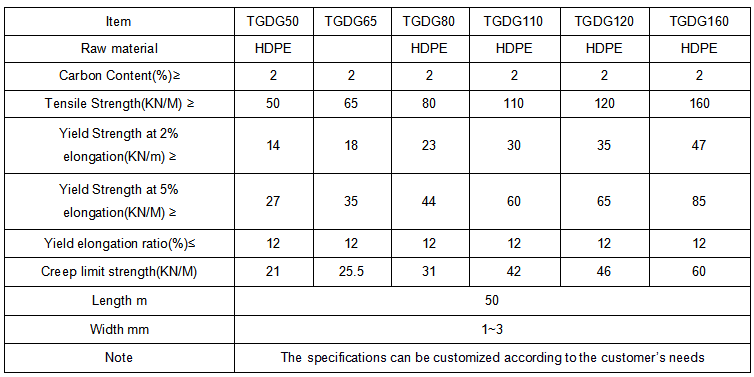 We are China Origin Factory of HDPE Uniaxial Geogrid. If you have any question, please feel free to contact us.